Over two weekends a number of members of the Grimsby society worked with Caistor Heritage members to try to discover more of Caistor’s “lost” Roman wall. Over the centuries the original plan has gradually disappeared except for a few examples of it due to time and reuse of its masonry for local needs. Graham Parratt, a Grimsby society member, recorded some of the work through photos and their description which are shown below. Graham sent s selection of photos from the dig. He could not remember the name of the metal detectorist but the first photo shows him at work. 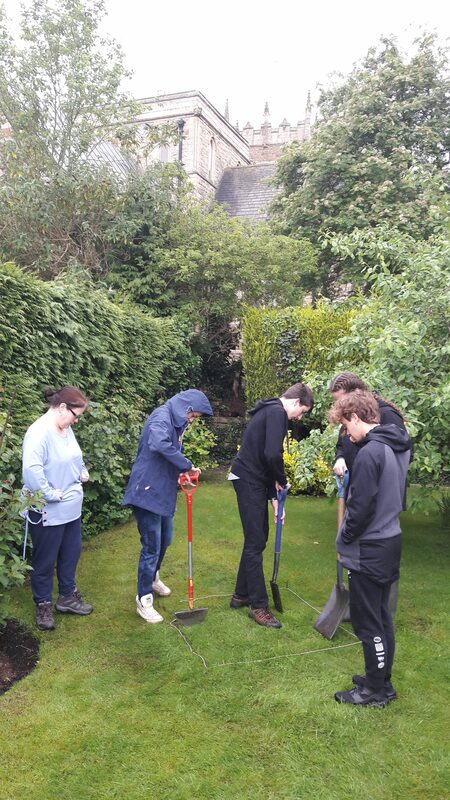 It is pleasing to note that several pupils from Caistor Grammar came to help over the last weekend. 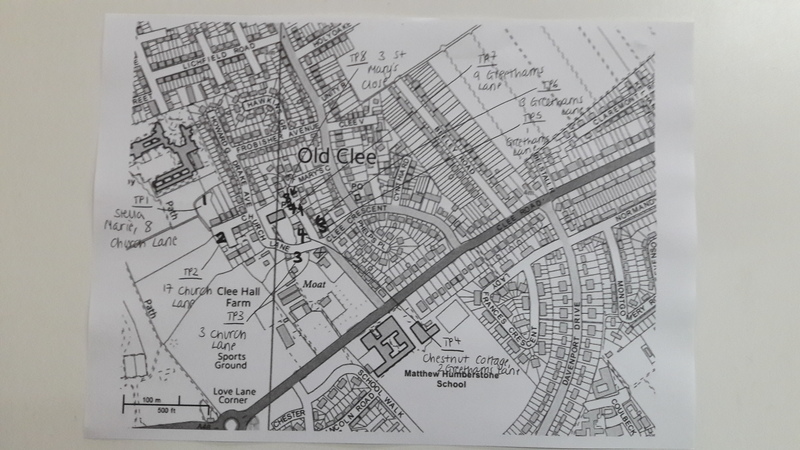 The dig was near the Kelsey Road which is a possible Roman road perhaps leading to a Roman bridge over the River Ancholme. One such bridge has been found. 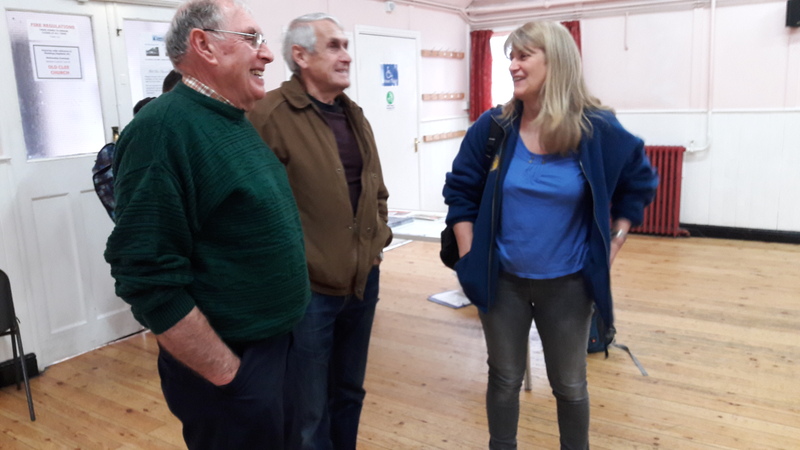 Alan Dennis of the Caistor Heritage Society recently gave a talk on the finds of the recent dig which was quite illuminating. 1) Shows a metal detectorist carrying the first scan after the first layer of top soil has been removed from the first trench along with Les who worked tirelessly throughout. (Both from Caistor). 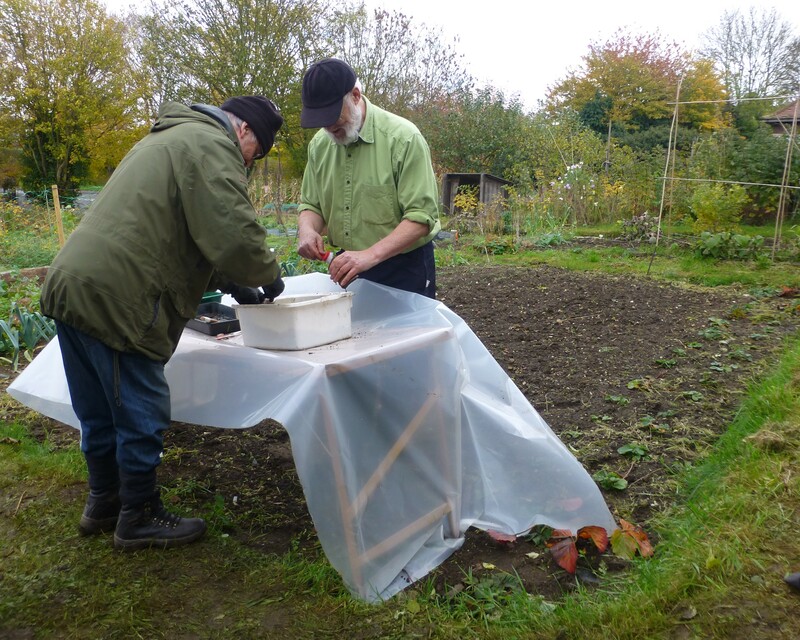 2) The finds table up and running with Mike and Chris cleaning some of the first finds. 3) “Dave’s Den”. We were fortunate to find such amazing facilities onsite which were able to put to good use! 4) These tree stones were found in a trench excavated close to the allotments. 5) ” Lunch Time”. This shot was taken from the cemetery and shows the two trenches we were able to open. It was the furthest trench which, at first, seemed to provide the greatest potential for discoveries! 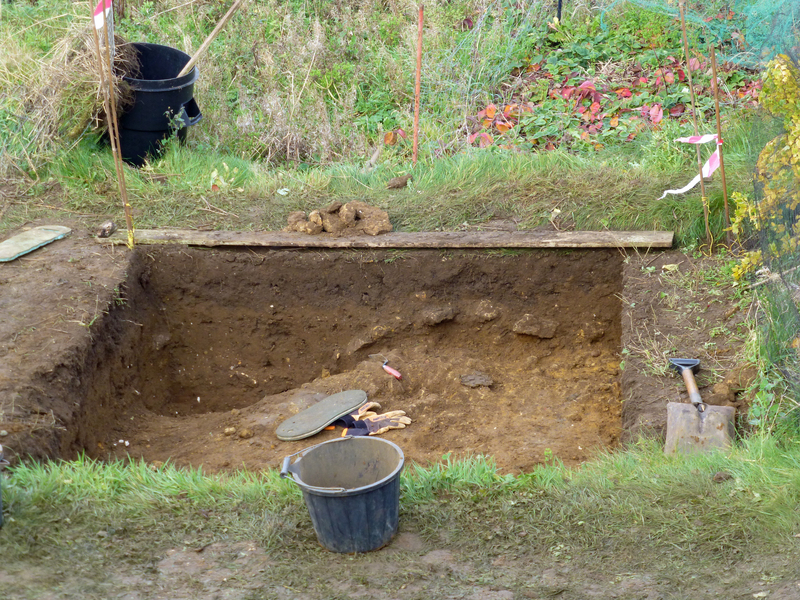 6) The furthest trench again showing a feature being investigated. 7) The first trench looking towards the cemetery wall. There appears to be an older brick wall just behind this relatively modern wall constructed during the last thirty to forty years. 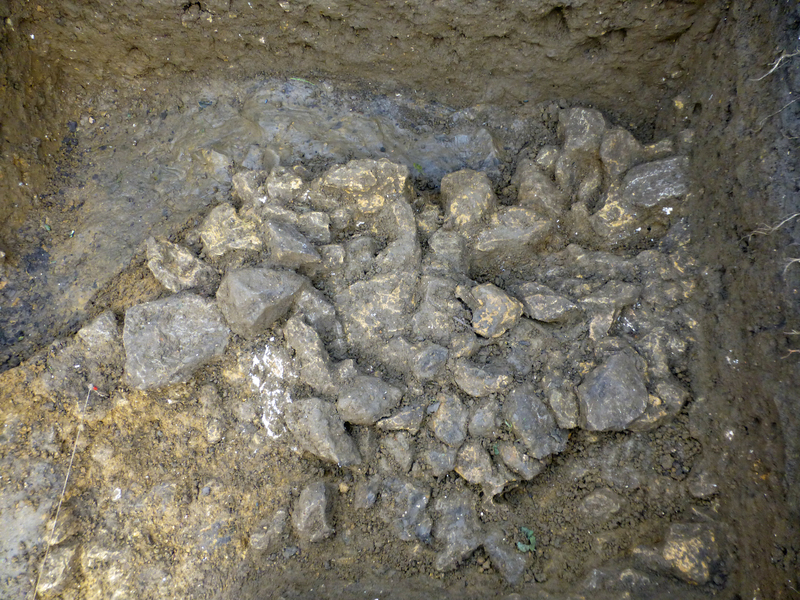 8) The section from the first trench close to the cemetery wall. The topsoil and subsoil can be clearly seen along with a slope cut into the natural. 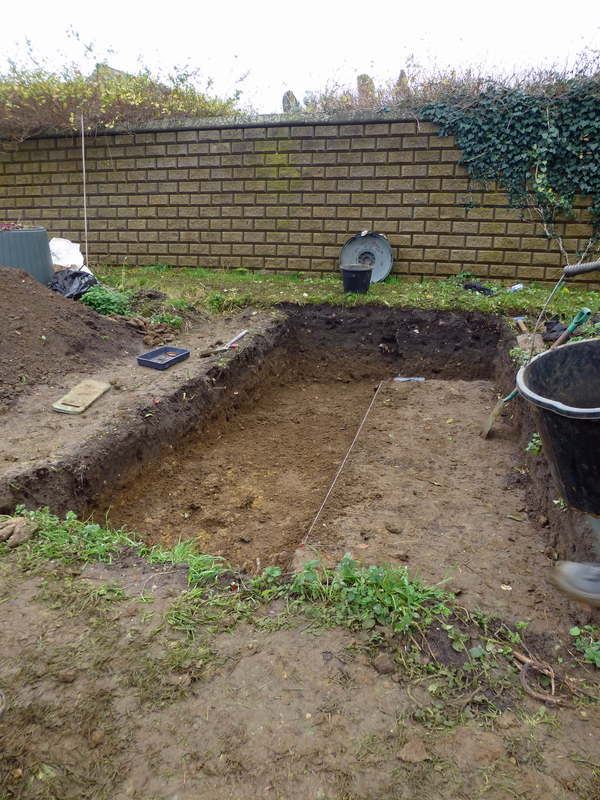 The trench was over a metre deep in the corner closest to the cemetery wall. 9)Two pupils from Caistor Grammar School who lent a helping hand! 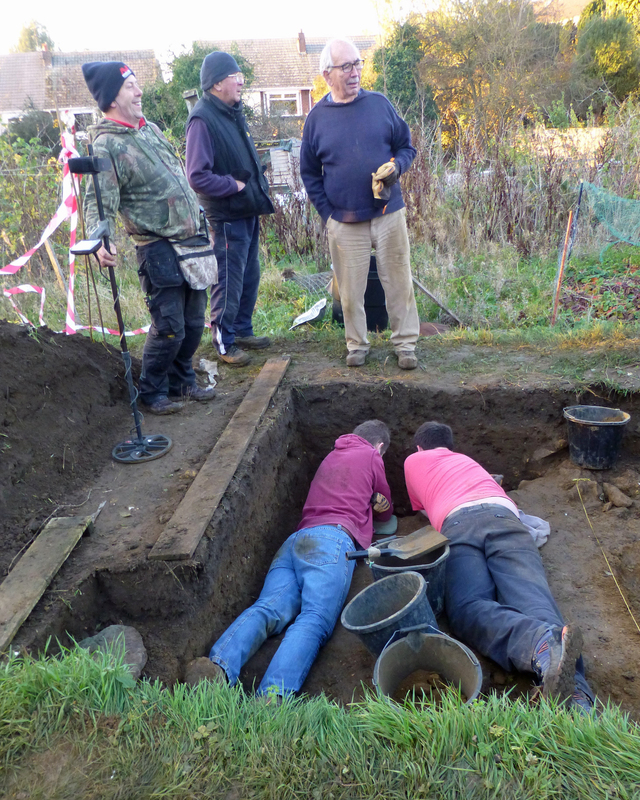 They turned out to be much more flexible than some of the older volunteers and were able to reach deep into the pit. 10) The possible post hole excavated in the second trench. 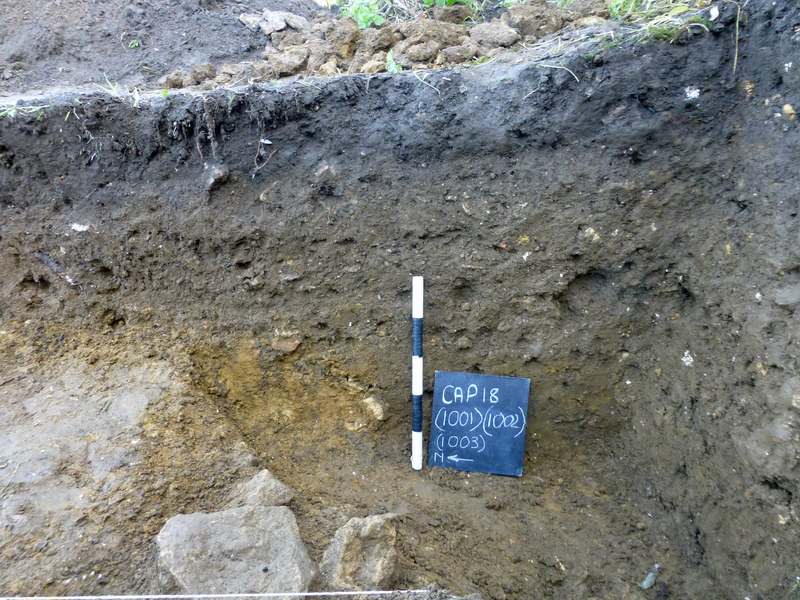 11) The wall uncovered at the bottom of the trench nearest to the cemetery on the very last day of excavation. Is it Roman? 12) Another shot of the wall. 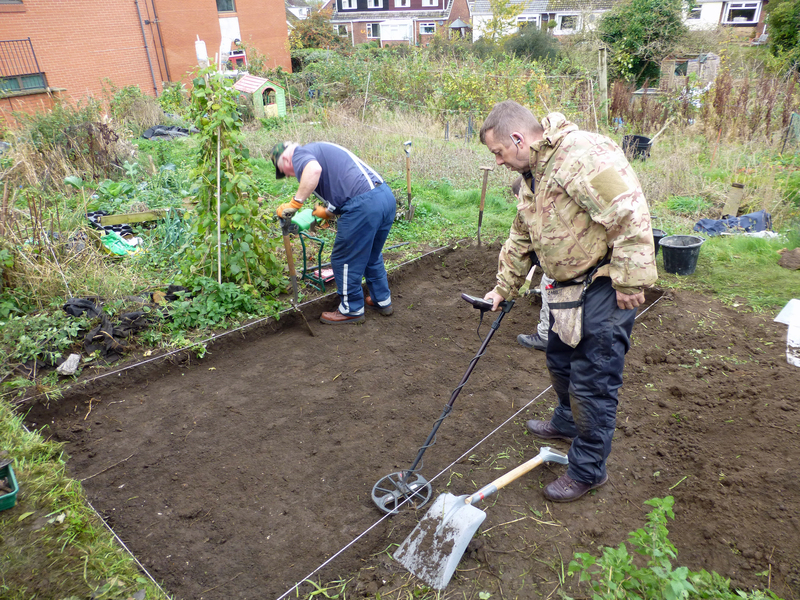 As recorded by Chairman David earlier, the dig was successful especially as a large area was exposed on the first day through the use of a mechanical digger for the first time. Many new features were found. Jewelry such as a lady’s bangle still in a good state of preservation relatively were found, besides the occasional coin of the Roman period. Site Director Professor Steve Willis of Kent University will, no doubt, eventually write his report on the site which will show its importance and the range of finds uncovered over the years. 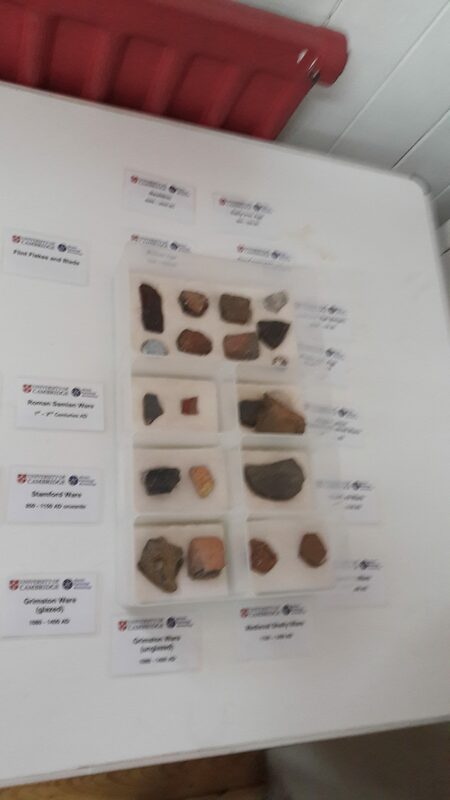 Next year attention will focus on another area of that landscape as geophysics has shown a number of interesting features which further work from Kent University and our society will hopefully reveal. 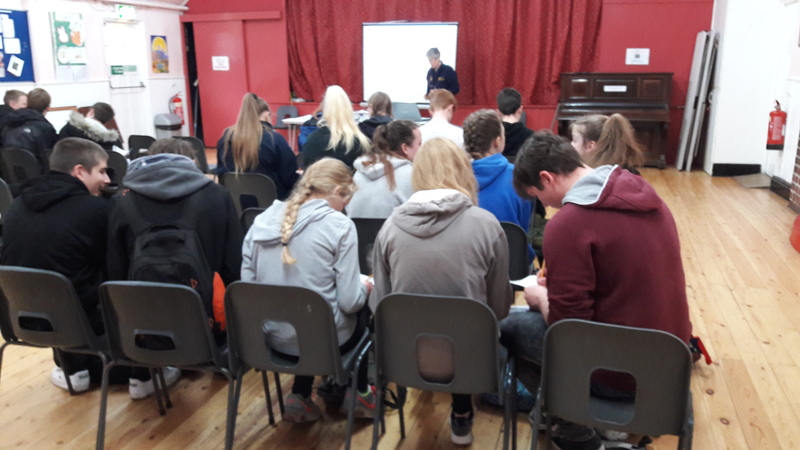 Work involves Prof. Steven Willis and students from the University of Kent and members of the society led by Chairman David Robinson. 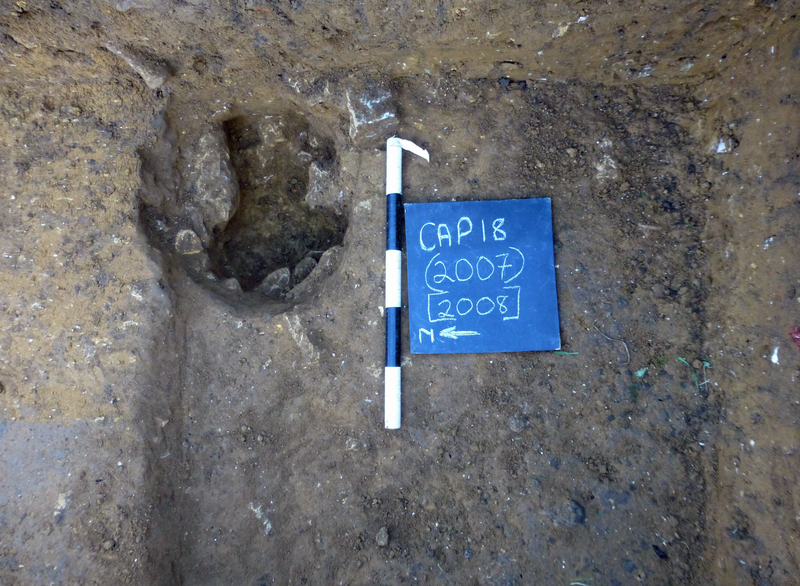 The dig was very successful this summer and the evidence continues to suggest that there is a high-status building on the site. Society members attended on various days to help the excavations. A number of trenches were dug (Pictures deleted for security). Various Roman coins were found of the second and third century AD by metal detectorists. During the excavations the walls of a large Roman aisled barn of approx.7m x 18m appeared with very substantial foundations indicating the possibility of this being a two storey building and is the third of such buildings to be found in Britain so it is obviously of great archaeological interest. 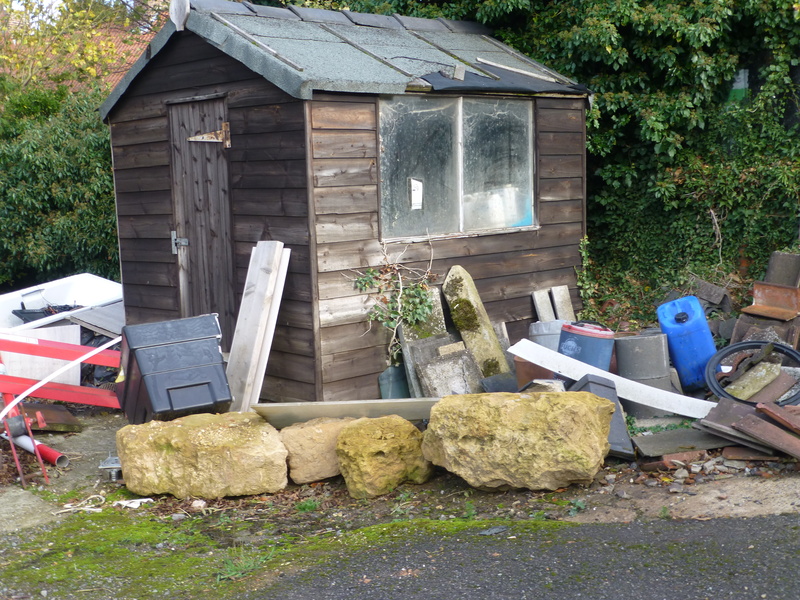 Steve Willis using Uni of Kent staff has had half the site geo-phys’d (See below)and our Chairman David thinks it is essential that this is completed. 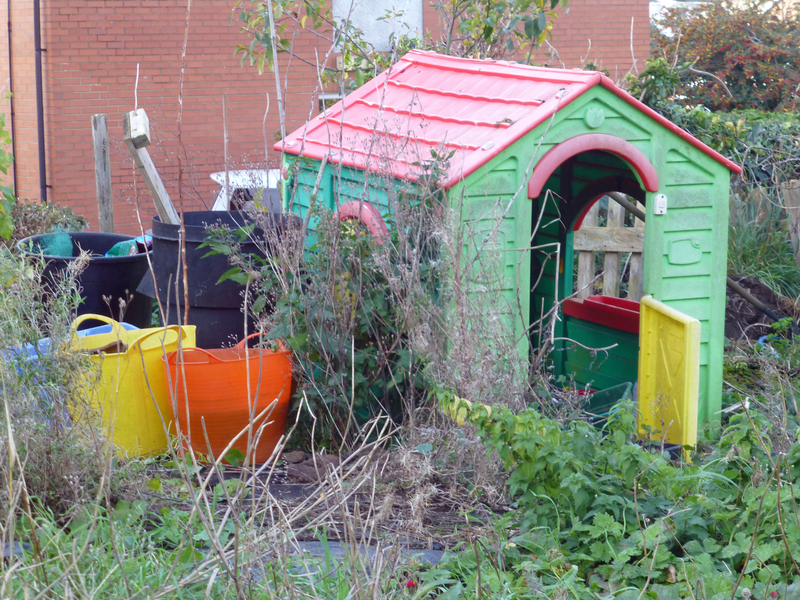 Thanks for supporting the Old Clee Garden Dig, despite the weather I think this was a very successful project well supported by the residents of Old Clee. If you have any comments on the event, how it was organized or anything else you feel is relevant please let me know. 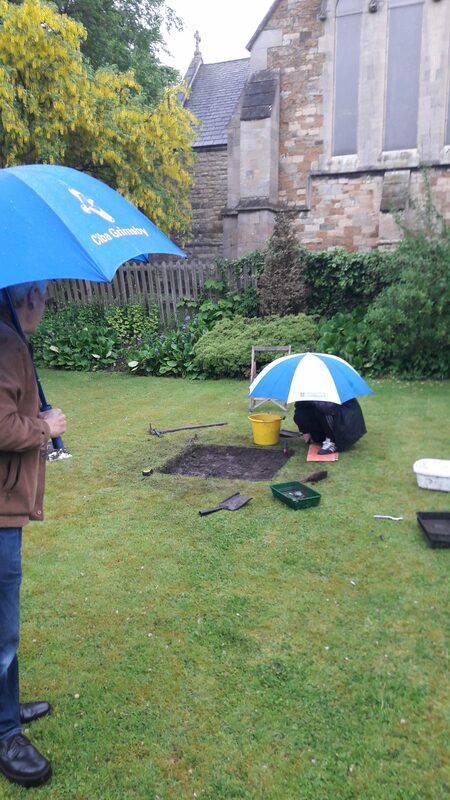 This dig was led by Professor Stephen Willis of the University of Kent Archaeology Faculty. Members of this society came each day during the two-week length of the dig to lend their support. The following is Chairman David Robinson’s comment at the end of the dig. 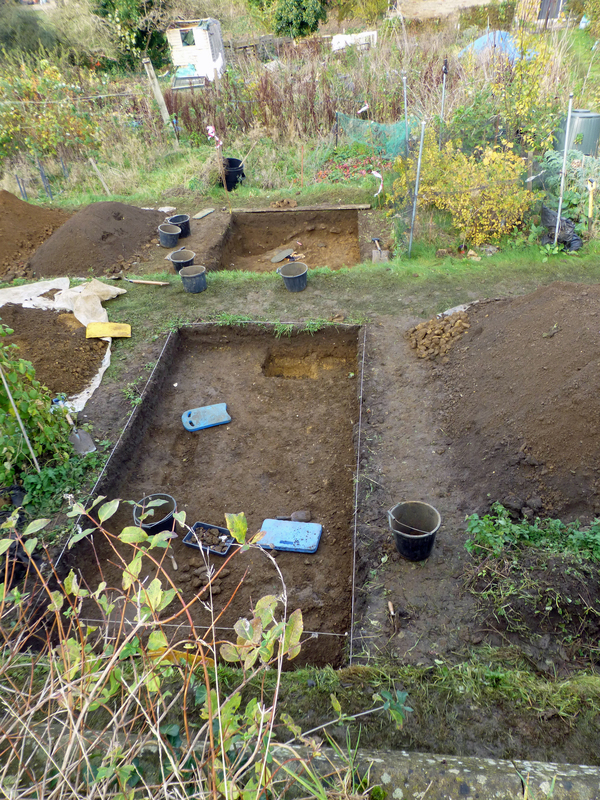 “The dig closed down Saturday 01.10.2016 late afternoon, and it was a very successful two dig exercise, we gained much more knowledge about the site and this will allow us to plan next years programme with Dr. Steve Willis. 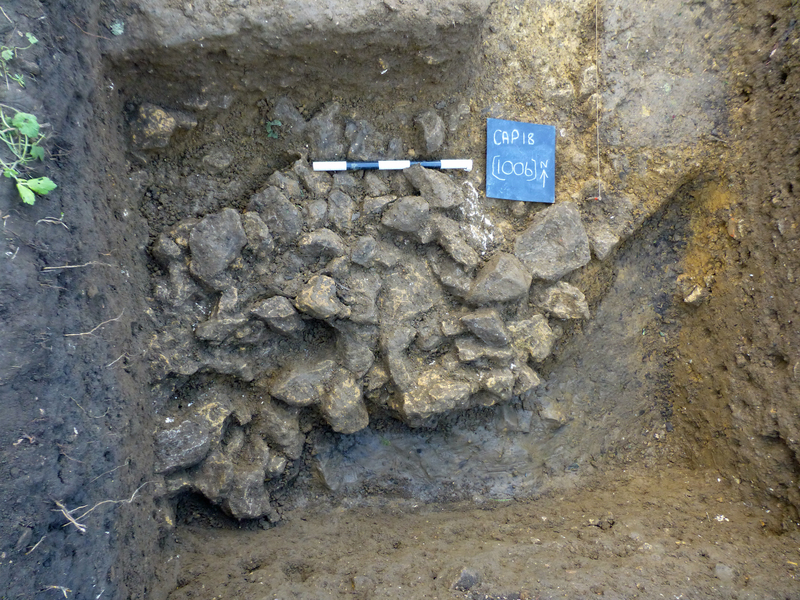 According to Prof. Willis, the dig revealed some wall foundations of a Roman barn which may be only the second such barn discovered in a hundred years. A scattering of pottery and some coinage was found which will be examined for the official report on the dig.